This year's Telegraph Ski & Snowboard festival is just around the corner. Taking over Battersea Park in South West London from 25-28 October, it'll see thrills, interactive entertainment and amazing après across its four days and two nights. To help you celebrate the festival's 45th year, we're offering Escapism readers an exclusive 10% off the ticket price – all you need to do to make the most of the offer is buy your tickets here. The UK's largest real-snow big air ramp is returning to Battersea Park this year. 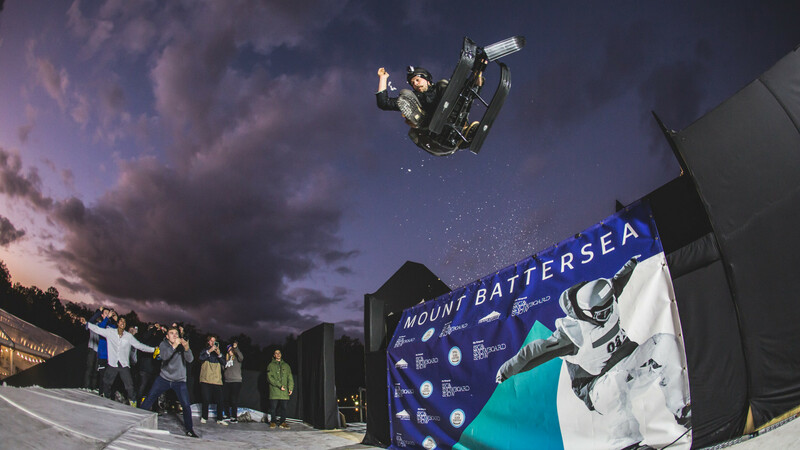 Mount Battersea will once again bring you some of the UK's best ski and snowboard athletes, who'll perform and compete in gnarly competitions and demos. Descending from the top of the 50ft kicker made with real snow from The Snow Centre Hemel Hempstead, the athletes are set to thrill you with some epic tricks throughout the festival, creating an electric atmosphere for you, your friends and family. Join our resident Mount Battersea host and BBC's Pyeongchang 2018 Olympic Winter Games presenter Tim Warwood to enjoy incredible stunts, wintersports tips, competitions and much more. New for 2018, London's largest indoor ski centre will be in Battersea Park bringing a unique experience. The festival will be hosting Chel-ski's slope, where you will have the opportunity to try it out for yourself. Chel-Ski provides a fun, safe and controlled setting for ski and snowboard lessons and training, using British Association of Snowsport Instructors-approved technology. With no lifts or queues, Chel-Ski is the perfect place for you to brush up on existing skills or take your very first steps into the fun-fuelled world of skiing and snowboarding. 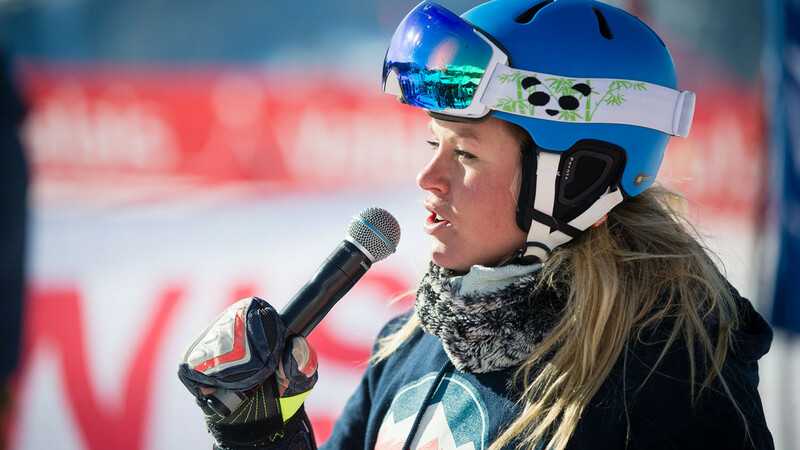 British former World Cup alpine ski racer Chemmy Alcott will be there to show everyone how its done, offering tips and tricks to get the most out of your session. Ensure you get there early to book in your taster. Double the après equals double the fun, and as it's the event's 45th birthday this year it's only right everyone gets together to celebrate. 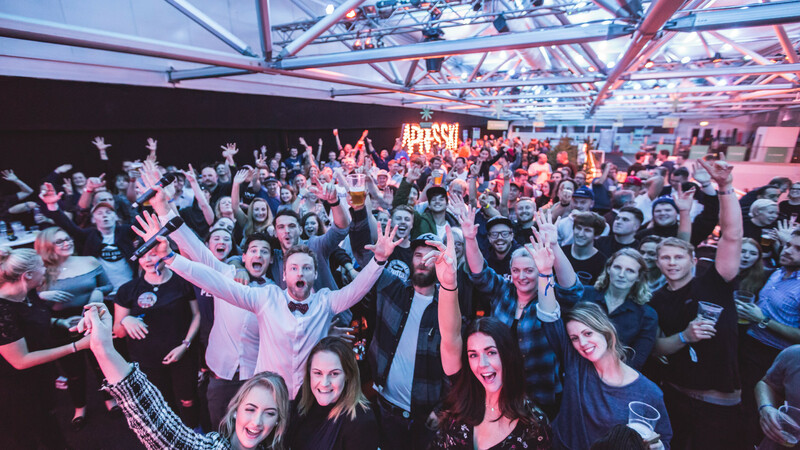 Head down on Friday and Saturday from 5pm and kick-start your evening with mouth-watering alpine food, impressive live acts and so much more. From the mountains to the city, there will be epic live music and DJs. On Saturday Sunset Sons – a group of surfer friends who have swapped waves for the stage – will be rocking the Ski Club of Great Britain Stage. And comedy act Famous First Words is returning to the show to bring huge amounts of fun, so there'll be to watch, get involved with and sing your hearts out too. 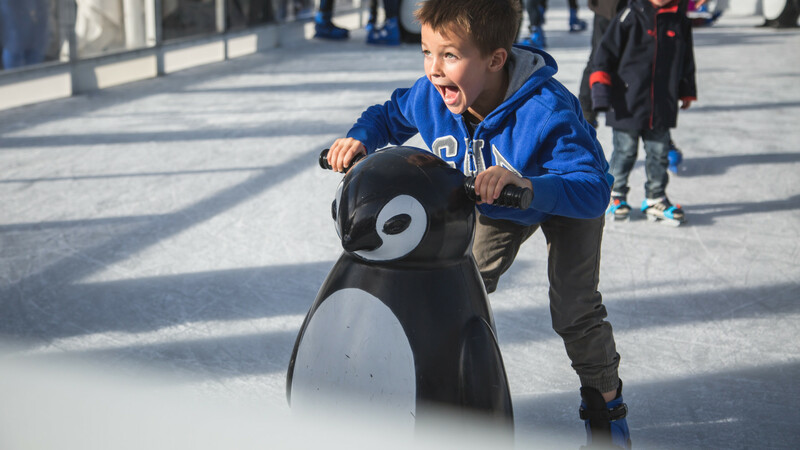 As well as all that, there's all the action on Mount Battersea, as well as the chance to skate to banging beats at an indoor ice rink brought to you by Crystal Holidays. Done skating? why not grab an après drink in The Neilson Lodge and have a laugh with your friends? It's sure to be some of the best après in town. Book your advance après tickets today. The festival brings together tour operators and resorts from all over the world, so this is your chance to meet wintersports experts from all corners of the globe. From France Montagnes to Utah, the festival will host the world's tourist boards under one roof, providing you with all the information you need to find the perfect alpine holiday and start your adventure. World resorts include: Tirol, Andorra, Slovenia, and many more. At the Telegraph Ski & Snowboard Festival, it's not all about the grown-ups – there's plenty for the younger generation to enjoy, and the show is thrilled to announce that this year it's bringing a spectacular line-up of children's entertainers. Head to The Neilson Lodge for bundles of fun and plenty of laughter. Tootles & Nibs will be bringing their secret recipe of Hubbub, Hullaballoo and Brouhaha with wintersports-themed games and activities, a winter selfie station, arts & crafts and face painting. In the heart of the Mountain Village you'll find the Crystal Ski Holidays ice rink. Collect your skates, step on, and glide away. A limited number of advanced sessions are available to book and plenty of slots are open to those who arrive on the day on a first-come-first-served basis. All the fun is included in your ticket price, with the whole family welcome to join in. We can't wait to see you all at the Festival. Sound good? The Telegraph Ski & Snowboard Festival runs from 25-28 October in Battersea Park, London. Tickets start from £18 for day entry, including an exclusive 10% discount for Escapism readers. Make the most of the offer below. Book your tickets to the Telegraph Ski & Snowboard Festival here.